Motorola has released its budget-oriented G phones for 2019, so now it's on to the Z-series. Or, at least that's what we'd expect based on past behavior. There was a leak early this year that purported to show the Moto Z4 Play, but now it's not completely clear what that was. A newly leaked render claims to show the Moto Z4, but it looks like the same phone. Whatever this thing is, it has a Moto mod connector. This phone has a small water drop notch, slim bezels, and no identifiable fingerprint sensor. So, it's either under the display or Moto is going all-in with face unlock (which would be a mistake). On the back, we've got a single camera sensor in the customary round protruding module. The single camera would be very odd for a premium Z phone, as would the apparent inclusion of a headphone jack. Motorola was the first Android OEM to ditch the jack. 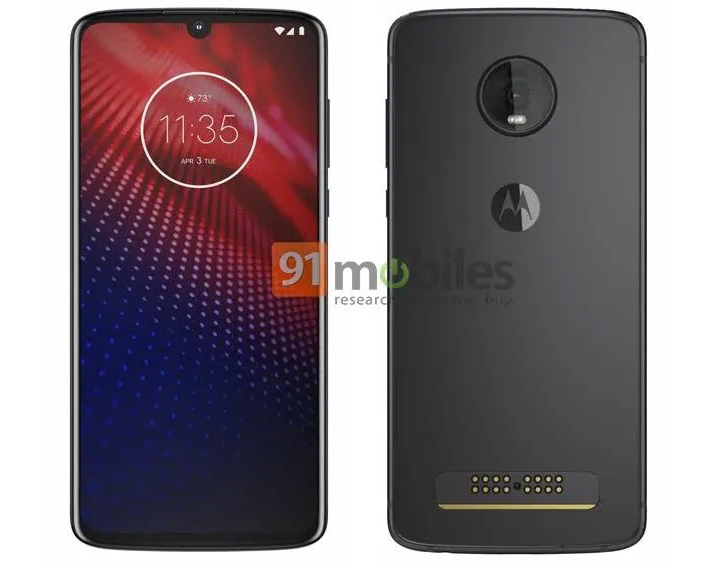 The previous leak identified as the Moto Z4 Play. It certainly looks the same. At the bottom of the phone, there's the Moto Mod connector. That means the Z4 (or whatever this is) will support all the same Mods as past Z phones. 91mobiles claims this phone will run a Snapdragon 855 and link up with the 5G Mod. That suggests it will be a Verizon device. The site further claims there will be no Z4 Play this year. 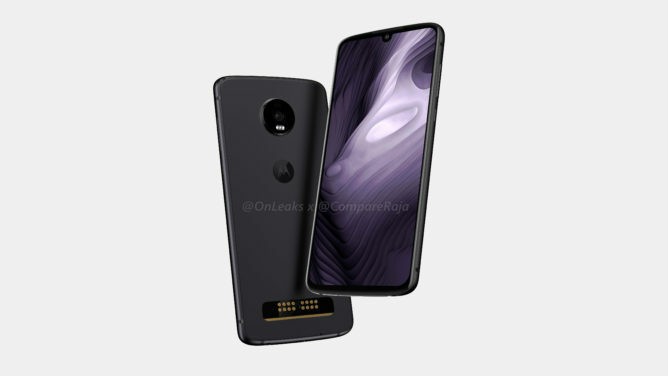 Thus, perhaps that previous render was actually the Moto Z4. Alternatively, this render could be the Z4 Play again, and the Moto Z4 is something else entirely. Neither of these options makes complete sense, so we'll have to wait and see what Moto announces in the coming months.